Directions: Hwy 85 north to right onto Airport Rd. Just past Crestview Airport on the left you will find the home. Remarks: Real Estate Owned REO. 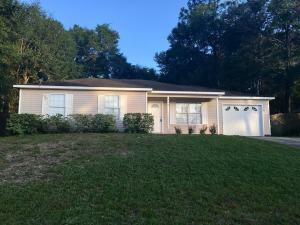 All brick home is located conveniently to everything in Crestview just down the road from shopping and around the corner from the movie theater, post office, schools, dining. This home has dimensional roof, guttering, all brick exterior, 1 car garage and fenced back yard. Inside this quaint home you will find both tile and carpet throughout. The kitchen is oversized with adjoining dining area. Kitchen has an island in the kitchen for extra countertop space. Though this home has only 1 bath, the space is fluid and the home feels much larger Perfect for first time buyers! A must see to appreciate call today to set up your showing of 3235 Airport Rd. Remarks: Real Estate Owned REO. 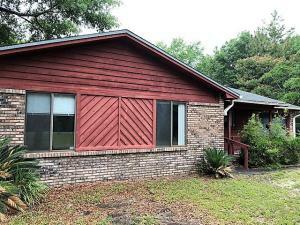 Three bedroom, 2 bath home south of I-10 close to bases, schools, shopping, hospitals and amenities. This home features fireplace, fenced yard, large master bedroom. Great starter or retirement home, hard to find under 100k. Directions: Hwy 90 East to Right on Lloyd to stop sign follow Mapoles to the stop sign and follow Seminole trail to stop sign and follow to 316 Lakeview. Remarks: Move in ready, Close to restaurants, shopping, bases, schools, hospitals and amenities. 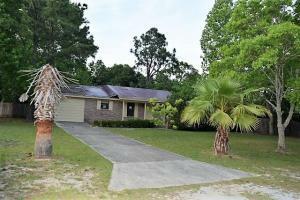 This 3 bedroom, 2 full bath home has everything taken care of for you. There is a A/C newly installed, updated paint, stainless steel appliances in the large kitchen with breakfast bar, dining area and living have updated flooring. Great back yard with enough room for the play set and already fenced for the pets. Call to take a look today. Directions: Hwy.85 North. Just south of I-10 left onto PJ Adams. Follow to the traffic signal at Northview and take a right. left onto Christopher and right onto Jillian. Remarks: Real Estate Owned REO. From the front entry there is a large tiled Foyer for greeting guests. Formal dining and formal living Rooms are located off the Foyer. Efficient kitchen with lots of cabinets, counter space and center Island is conveniently located off the great Room so that the cook is not isolated from the entertainment. Vaulted ceilings in the great room and formal living room add to the spaciousness of this home. 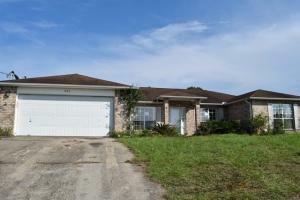 Florida living close to Eglin AFB, Okaloosa Airport and area amenities. The Master suite is large enough for an additional seating area. It also has 2 walk-in closets, a garden tub, separate oversized shower with glass sliding doors and double vanity. 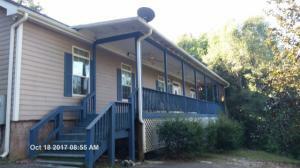 This split plan offers 3 additional guest bedrooms and a guest bathroom, call to take a look at 457 Jillian Dr today. Directions: 85 NORTH TO STILLWELL BLVD TAKE RIGHT ON STILLWELL, PASS WALKER ELEM.SCHOOL-TURN LEFT ON AURORA DR- HOME IS ON LEFT ON CORNER OF GALAXY & AURORA. Remarks: Real Estate Owned REO. Corner lot over a half acre with this 3 bed 2 bath all brick home. Tiled entrance-kitchen/ Dining combo-pantry in kitchen. Great room has bricked wood burning fireplace. Nice size bedrooms with skylight in master bath. Garage was used previously as additional sq ft but could easily be converted by buyer back to garage if desired, garage area/bonus room has wash and dryer hookup and cabinet space. Privacy fenced back yard. Directions: North of Crestview on Highway 85, Turn right east on Aiport rd (EAST)by the new Publix, Follow Airport road for approx 4 miles, then right on Possum Ridge Rd. Remarks: Real Estate Owned. Check out the quality of this brick home built by Bell Family Homes. This house has a trey ceiling in the master bedroom, separate shower and garden tub area,cathedral ceiling in the Living Room, Kenmore Kitchen Appliances, a double car garage, an approx. acre lot and much more. Call to take a look today. Directions: From 85 and 90 take 90 West to Old Bethel on your right, take the 2nd right onto Susan, home is third one on the left. Remarks: Real Estate Owned. 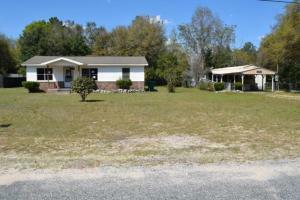 This oversized lot just under a half acre is located in a well established neighborhood. Great location skip highway 85 via Antioch Rd. This 2 bedroom 1 bath vinyl sided home with brick accent. Notice the rustic knotty pine wood wall panels as you walk in the front door and the retro tiled bathroom. Mobile home on the lot has been given no value. All is being sold AS IS. Call to take a look today.